Our range of products include sandwich puf panels for cladding and sandwich sheet. We provide an affordable range of Sandwich Puff Panels for roofing, wall cladding and cold room walling. These panels comprise of two facings of relatively thin metal sheet profiled of high strength enclosing a core, which is relatively thick and light with required stiffness. We are the leading manufacturers of Sandwich Sheet. 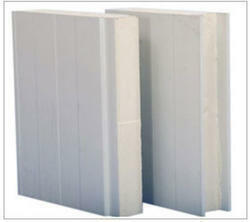 Looking for Sandwich Puf Panels For Cladding ?